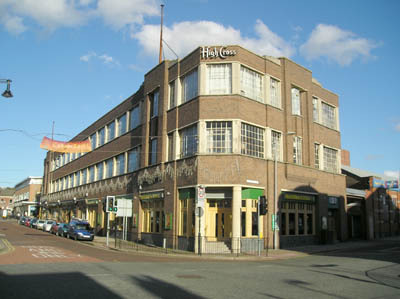 An Art Deco building located in the centre of Hinckley’s retailing and business environment close to the existing town centre and directly opposite the town’s new retail and entertainment development ‘The Crescent’ (completed December 2015). Entering the building off Lancaster Road, there is a ground floor reception with an intercom system through to each workshop/room, located on the first floor. Initially accommodating 14 rooms the facility provides clear unobstructed area for new/existing businesses. Production space for starter businesses. No set up costs (for licence fee payable, please refer to availability). Monthly licence fees (refer to availability sheet). Personal electricity meter to monitor electrical usage per unit. Electrical usage will be billed monthly in arrears. Our communications partner can advise you on the most cost effective and best solution to suit your individual needs. All telephone and data points are brought into a central IT room and then connected through to the individual rooms. Rolling monthly contracts for both telephone and broadband are available if required through our communications partner. Located on Lancaster Road in Hinckley’s town centre with the main entrance adjacent to Kwik-Fit. High Cross is only 2 minutes walk from Castle Street with the new bus station and ‘Crescent’ retail development being 1 minutes’ walk away and train station being 10 minutes walk away. There are excellent short and long stay (pay and display) car parks within a couple of minutes walk from the building. Daily car parking costs for long stay are very competitive (details can be found on Hinckley & Bosworth Borough Council website – www.hinckley-bosworth.gov.uk). Annual parking passes are available, the costs of which are available from Hinckley & Bosworth Borough Council. The High Cross Building is easily accessible by bus and train. There is excellent communication and road network infrastructure with access to the A5, M69, M6 and M1 motorways with the closest cities being Coventry, Leicester and Birmingham (10, 16 and 29 miles away respectively) with the NEC and Birmingham airport 25 miles away. Hinckley is a thriving market town and evidence suggests that it dates back to the Roman era. Built on the success of the hosiery industry, it is home to Triumph Motorcycles and is also where Joseph Hansom developed his legendary Hansom Cab. Hinckley & Bosworth Borough Council’s new Hinckley Hub. A new town centre Leisure Centre (construction beginning in Spring 2014). A new retail and entertainment development in the heart of the town centre (completion proposed Summer 2015). Continued growth of the town’s industrial estate schemes. Expanding residential estates both on the outskirts and within the town centre. Please browse to High Cross Building availability page.